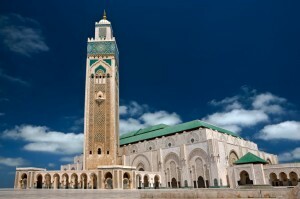 Casablanca Travel offers several sightseeing opportunities. 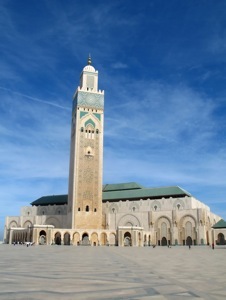 With Travel Exploration, your Casablanca Morocco Travel siteseeing experience can be filled with visiting a variety of historical and contemporary places. Casablanca or more affectionately known as Casa has a population of three and a half million and is the largest cityand port in Morocco. 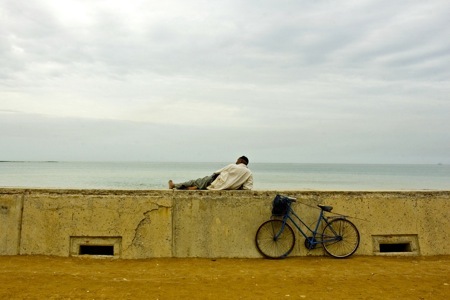 Casablanca is also the biggest city in the Maghreb and the sixth largest city in the entire continent of Africa. 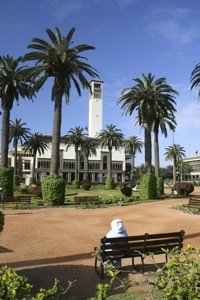 Casablanca, the most famous name in Morocco Travel, is theeconomic capital. 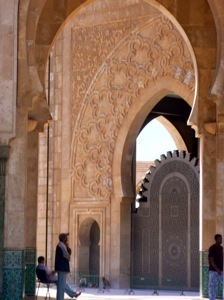 The area which is today Casablanca was settled by Berbers by at least the 7th century. Casablanca is the most European of Morocco’s cities and is known as a huge metropolis where modernity and tradition co-exist. 1. Visit Parc de La Ligue Arabe, a huge garden with avenues lined with tall palm trees, ficus, arcades, pergolas andflower beds. 2. Take a stroll through the old medina and through Place Mohammed V and the Place des Nations Uniones, the main focal points of Ville Novelle, Casablanca’s new town. 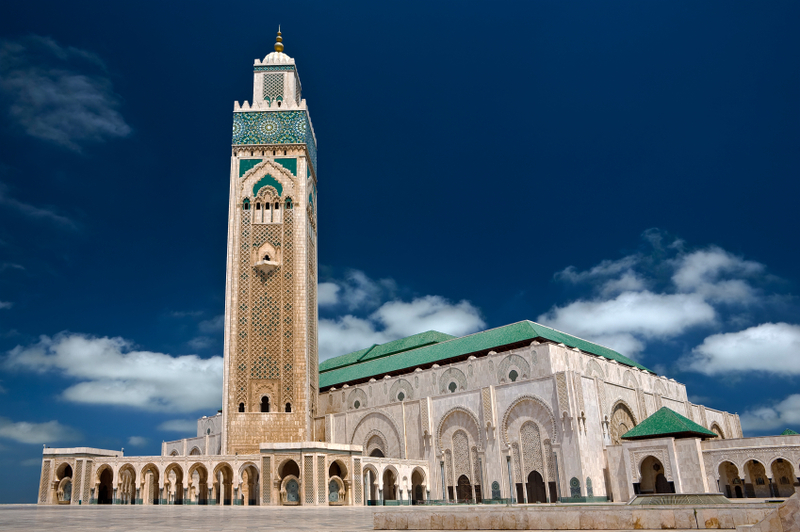 With the help of Travel Exploration’s Casablanca Travel Travel guide, move easily through the labyrinth of narrow streets lined withjewelers, barbers and artisans. See the squala, a fortified 18th century bastion. 4. Visit the art deco hotels, the eleven story Moretti apartment block and famous residential blocks: the Glaoui, the Bessonneau and the Asayag. 5. Lunch at one of the international restaurants by Casablanca’s Port, the Corniche. 6. Visit the Mosque of Hassan IIdesigned by the French architect Michel Pinseau. It is situated on a promootory looking out to the Atlantic, which can be seen through a gigantic glass floor with room for 25,000 worshippers. 7. Dinner and drinks at Rick’s Café, run by an American woman who created this Casablanca Travel Morocco destination for Westerns who are fans of the film Casablanca and the era from which is it known. You are currently browsing the archives for the Casablanca Hassan II Mosque category.